Overall, a nice example of the style and really enjoyable. Black in hue, off-white head. Tame aroma: booze, hops, caramel notes. Tastes of roast, coffee bean, alcohol, hops and chocolate flavors mingle at the end for a long, lingering aftertaste. Medium-heavy body and nicely drinkable for any time of day. A quite refreshing porter. Draught into nonic pint glass. Pours black with a pretty good sized, creamy tan head and fantastic lacing for the duration of the glass. Aroma is smooth, cocoa and rich roasty coffee aspects without any acidic bitterness, hint of floral hops underneath the malt. Taste is smooth, round, and full - cocoa, roasty coffee hints blending smoothly into the cocoa, creamy and sweet, and a balancing hit of lingering floral hops that never interrupts or overwhelms the malt body - perfectly executed. Finish is only mildly bitter from the hops, clean and just a bit dry. Mouthfeel is full bodied, creamy carbonation, superbly drinkable. Fantastic porter. Could have drank this one all night. Reviewed on 9/7/08. Growler. Pours a dark brown with a small, thick but quickly disappearing tan head. Aroma of coffee, rich roasted malt, sweet malt, and citrusy hops. Flavor of roasted malt, slight roasted nuts, lots of semi-sweet chocolate in the finish. Yum, nice chocolatey-ness! Smooth bodied with a full palate (although the palate is the weakest component of the beer, IMO). Not quite as full-bodied and robust as Gorilla Warfare but still a good beer and awesome porter! Received in trade from Shane at sixpoint, hand bottled at the brewery, thanks for the opportunity and generosity. Pours a solid dark brown with very faint red highlights when held to light. smallish tan/mocha head dissipates quickly. Smells of coffee, roasted malts, chocolate, toffee. Smells a bit sweet. Taste of chocolate, lots of dried fruit, almonds, cherry. Really a unique taste, I like it! Raspberry's maybe too! Body is medium to thick, Mouthfeel is creamy smooth, Carbonation is ample. I loved this brew! Unique and tasty, I wish I could get more! Hand-bottle courtesy of Shane poured into a pint glass. Pours dark, dark brown with light showing through the edges under a small off-white head that recedes to a ring leaving almost no lacing. Oddly enough, the most dominant aroma for me was the ctirus hops, grapefruits and lemons mainly. There is some hints of carob and dark malts, but the hops really stand out in a relatively subdued aroma. The taste starts out with a sweeter chocolate and malt base than the aroma. There is a little coffee bitterness in the middle before the hops come back to leave a slightly bitter finish. The mouthfeel is creamy but lighter and with more bitterness than your typical porter. This is one very interesting porter and one that I certainly wasn't expecting. I can't put it up there with the better porters out there but it was very enjoyable. Appearance: Pours a dark brown, near black body with a thin ring of off-white bubbles on top. Smell: Chocolaty carob scent butts up against citrusy hops and complimentary notes of licorice and Cinnamon Toast Crunch. Taste: Pleasing blend of chocolate, licorice, cinnamon, and carob followed by a light sweetness. Then the citrus drops, bringing a light bitterness with it. Finishes faintly bitter and with an earthy taste of carob. Slight roastiness lingering in the aftertaste. Drinkability: Fairly tasty and enjoyable porter. My hat is OFF to Sixpoint. Pours a pitch black - with a small 1/8 inch tan head. Smells of beautiful roasted coffee, chocolate, and hops. First sip is pure coffee heaven with a absolutely gorgeous chocolate bitterness . Fairly creamy bodied, carbonated well. If you like coffee and coffee infused beers, you will not be disappointed. This is one fine porter. Handbottled beer from Sixpoint. Thanks Shane!! Poured into a shaker pint. Pours black with a thin tan head. Tons of sediment that floats for a long while then finally settles. Smell is faint, but I get some chocolate and a hint of alcohol. Good ful flavor. Bits of chocolate, coffee and some sweetness. Maybe even some caramel. Full mouthfeel- nice and thick. I am not for thin porters, and maybe it is the sediment, but this one feels thick. Pretty drinkable and one I would seek out again. Four of us split a special sample of this from the brewer. The beer poured with an unremarkable color and alot of yeast floating in the brew. The nose was nondescript. The beer had a slight coffee and roasted flavor. Some of us felt the mouthfeel was a little thin. Although this wasn't our favorite porter (we're partial to the Snipes, Edmund Fitzgerald and Black Sand/Wipeout), we could certainly drink another. Pours extremely dark. I had stepped outside and walked back in to find there was no head on the beer, but there was also some empty space at the top of my glass, so I can assume there was something there and it dropped pretty quickly. Nose was there, nothing crazy. But mild coffee with a touch of hops. After seeing that this is a.k.a. Carob Porter, it all makes a bit more sense to me. I was getting some very sweet and earthy kind of character on this one and it just struck me funny. But now it makes sense - carob. I feel like I did get a fair amount of carob, but nothing that really high-jacked the whole experience. Malts were also there. Feel was decent. Seemed a bit low on the bubble and a bit thin on the liquid, but maybe the cask had something to do with that? Either way, it was still very smooth. Overall very drinkable. I totally dug it and might not go for it again on cask, but would be interested to see what it was like on-tap. Many thanks to Aaron at Sixpoint for supplying this bottle. According to the brewer, this was created exclusively for the Spotted Pig in the West Vilalge and available only on cask. 25 Lbs of Carob chips were used in the boil. This sample was bottled on 11/17/06 and consumed on 12/18/07. Pours a relatively dark, dark enough to appear opaque, brown with a steady and bubbly ¼ inch light brown head. Head retention is flawless. Aroma is nutty, consisting of burnt wood and charred caramel along with touches of bitter chocolate and just maybe a little dark fruit. Flavor is roasty, toasty, and nutty with lingering bitter chocolate. A twangy and quite unique sweetness wraps the tongue. Perhaps this is from the carob? It reminds me a bit of stevia. Still the finish is very burnt and bitter. When I said linger, I meant to say, this beer drags razor blades of cocoa bitterness across the tongue for well up to a minute after each sip. Light bodied and surprisingly drinkable. Truly exciting mouthfeel. 12 oz. bottle thanks to Jeff at Sixpoint. Pours a dark brown, almost opaque, with a huge two finger fluffy khaki colored head that takes a while to simmer down to a thin layer. Stickiness is decent, spotty lacing. Smell is a smokey dark chocolate with a nice wheat bread aroma in the nose as well. Minimal sweet caramel is in the nose too. Taste starts with a very roasted nut flavor followed by a nice hop bitterness. Aftertaste is a smokey coffee flavor that lingers on the tongue for a good while. 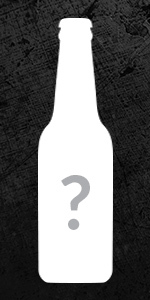 Mouthfeel is medium to full bodied with a fair amount of carbonation. I haven't had too many porters in my drinking lifetime, but I enjoy this one. Good work once again Sixpoint. Russet with ruby lighted hues at the edges. No head but a combover in the center. Great nose of burnt caramel and black fruits. Bits of roasty chocolate on the dark and bitter side of things. Very rich and roasty. Silky smooth and drinkable. Bitter dark bakers chocolate with a nice bittering hop on the long finish. Hints of vanilla and caramel cooking on the stove. Some black currant and plum with a hint of peat. Easily drinkable on cask. I had this on tap at a dinner sponsored by Slow Food this evening and I was pleased to have had at least two pints of it with cheese and apple tarts. The first pint was handed to me by the bartender and I was struck by the jet blackness of it with a 2" head on top. The smell of fresh hops was apparent, but the first taste was full of smoke malts, chocolate, and coffee. I liked the texture of it in a medium body that I pulled the wine test for "legs" (meaning it had a good body to it). This also meant there would be room for round two. I think this was the first time I had noticed how well an ale went with simple cheeses like provolone and cheddar. I hope to taste this again as Sixpoint's works are slowly making their way into Long Island, NY.